Please scroll down to see our catalogue of Ultraviolet movie codes. ..we also sell iTunes Digital Copy codes! Instantly after your payment, you will receive an unused redemption code for the movie of your choice. You can enter this code into the UltraViolet website in order to claim a Digital Copy of your film. We are constantly working to increase our collection of movies at 50% off normal retail price! Rather than buy a digital copy directly from UltraViolet or buying a physical Blu-ray disc at inflated retail prices, you can buy a digital copy of your movie from CJS CD Keys at nearly 50% off the usual retail price. First, simply add the movie of your choice to your shopping cart. Next, check out using any of our easy payment methods. We accept Paypal, along with all credit / debit cards, Moneybookers, and Wire Transfer. How will I receive my movie? Once you receive your redemption code, you can enter the code into the relevant website, where it will activate a digital copy of your movie to your account. 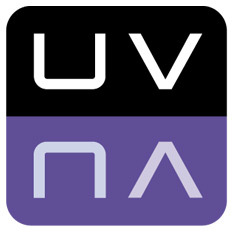 After activation, you will be able to add your movie to your UltraViolet Collection to instantly stream or download. Now that the movie is in your library, you will be able to watch this film whenever you please. You are now the owner of a digital copy of the movie. VUDU - Allows you to download and play your Ultraviolet Digital Copy via the VUDU service. Flixster - Allows you to download and play your Ultraviolet Digital Copy via Flixter. Paramount Movies - Also accepts UltraViolet codes for most movies. When you own a movie on UltraViolet, you can share it with up to 5 other people! This means that when you purchase a movie from us, you can actually share your digital copy with 5 other friends or family who can also stream or download the movie! So what are you waiting for? Buy an UltraViolet Digital Copy now as an instant redemption code! Our movies are a fraction of the price compared to retailers like Amazon!